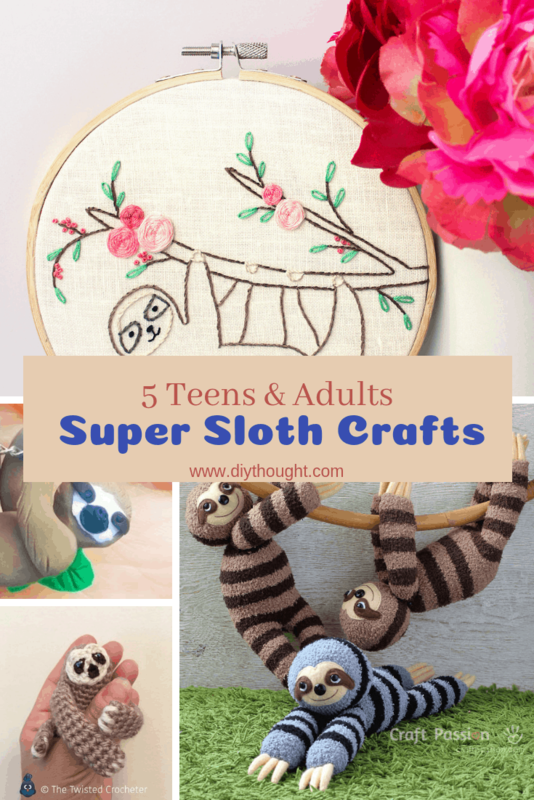 If you have a soft spot for the slow sloth then you will love these 5 teens & adults super sloth crafts. From sewing to baking there is a sloth craft to get busy with here. Most of these sloth crafts are great for beginners so why not challenge yourself and learn a new skill while making an adorable sloth! 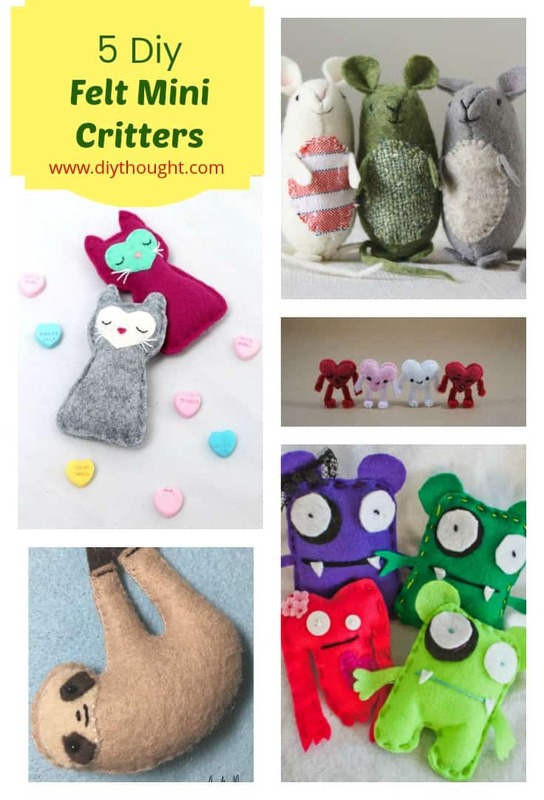 Sock toys are great fun to make and these sloths are beyond adorable. Head over to Craft Passion to get the easy to follow pattern. 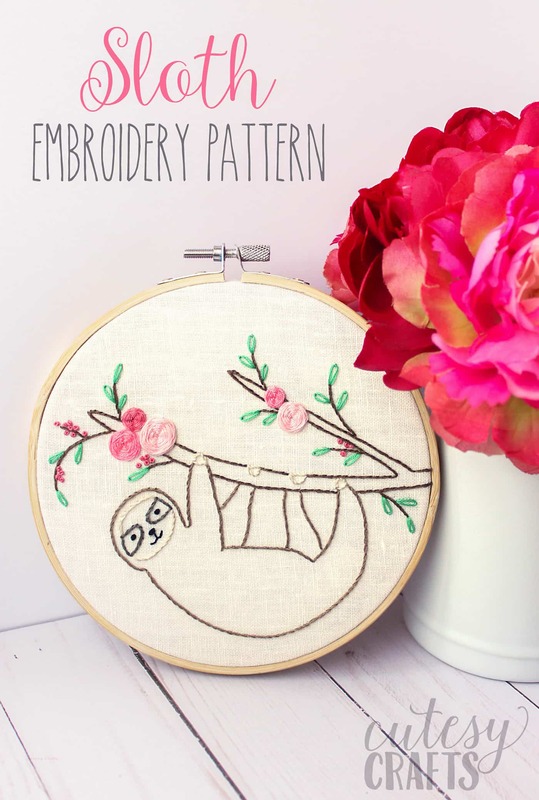 This sloth embroidery pattern is perfect for beginner embroiders. 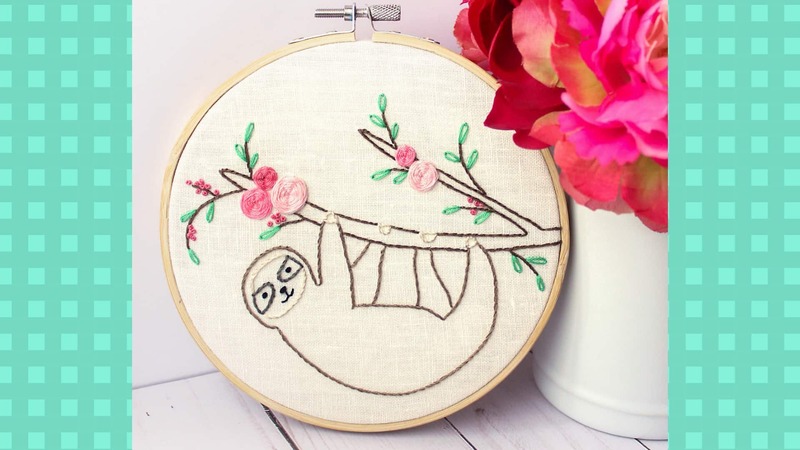 A great way to learn and practice some new stitches while producing a super cute sloth! Click here to read the full tutorial. Polymer clay is awesome for creating all sorts of jewelry. We are loving this super adorable sloth necklace! Source found here. 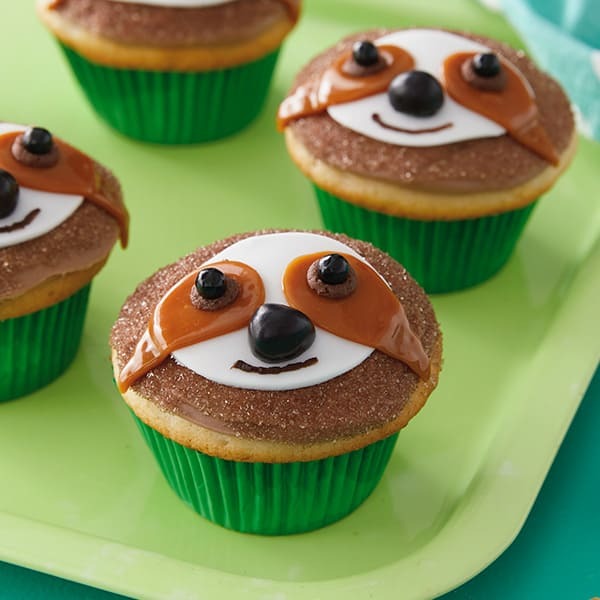 Get your bake on and create some of these yummy sloth cupcakes. Your friends and family will love you for this one! Click here to get the recipe. 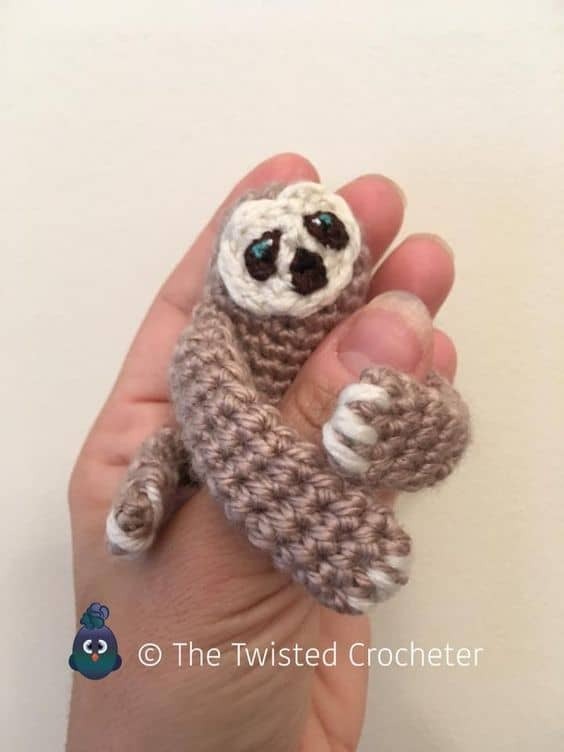 Anything is cuter in mini size and this is certainly true for this wee baby crochet sloth. Visit The Twisted Crocheter to get the free pattern.